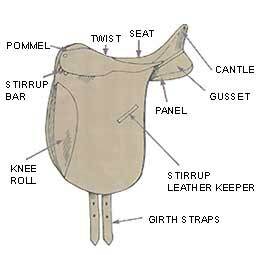 A dressage saddle from the side. 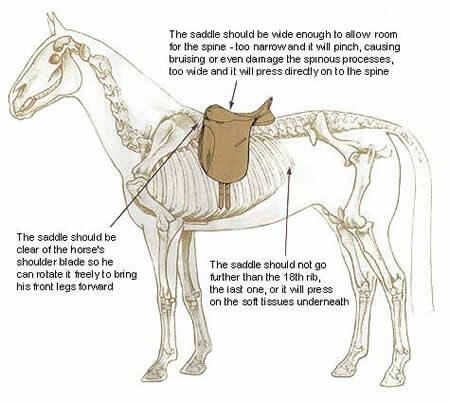 The Horse's Skeleton showing position of the saddle. 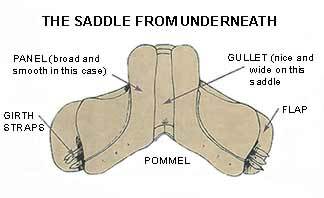 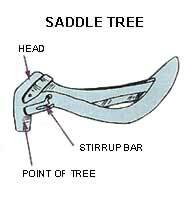 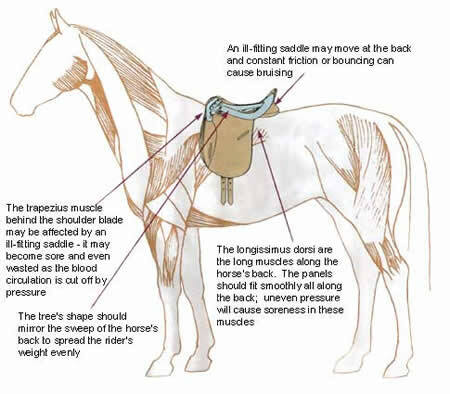 The horse's muscles showing position of the tree inside the saddle.